Our Fiesta on hallowed ground: Florida's Sebring International Raceway. 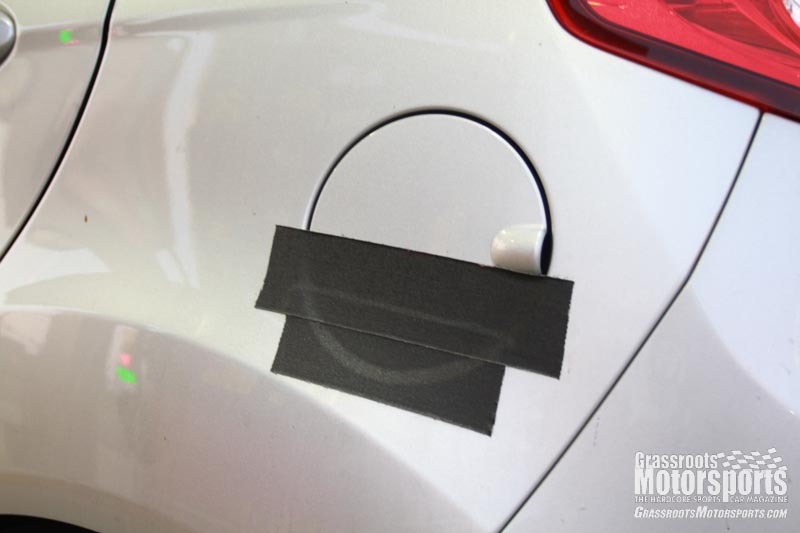 We didn't want to get black-flagged for leaking fuel, so we taped the fuel door shut. There's a gasket on the back of this lid. 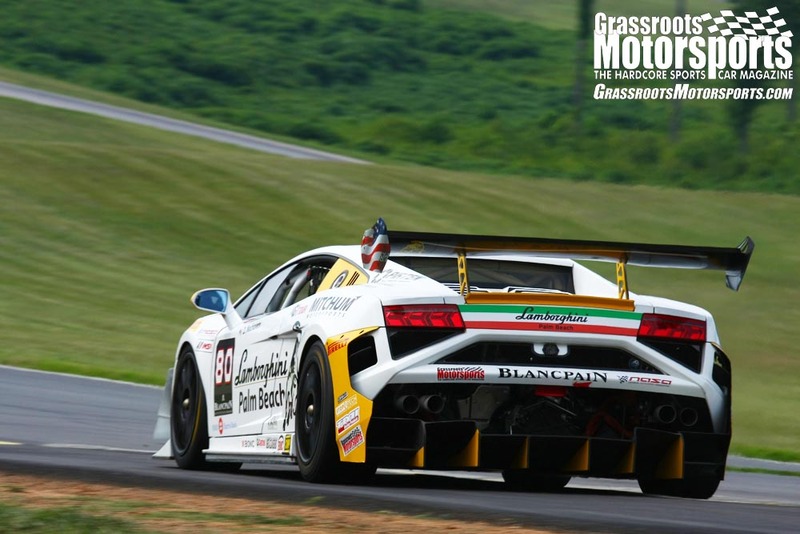 The car is brutally flat in the corners, and turn-in has gone from lazy to razor-sharp. 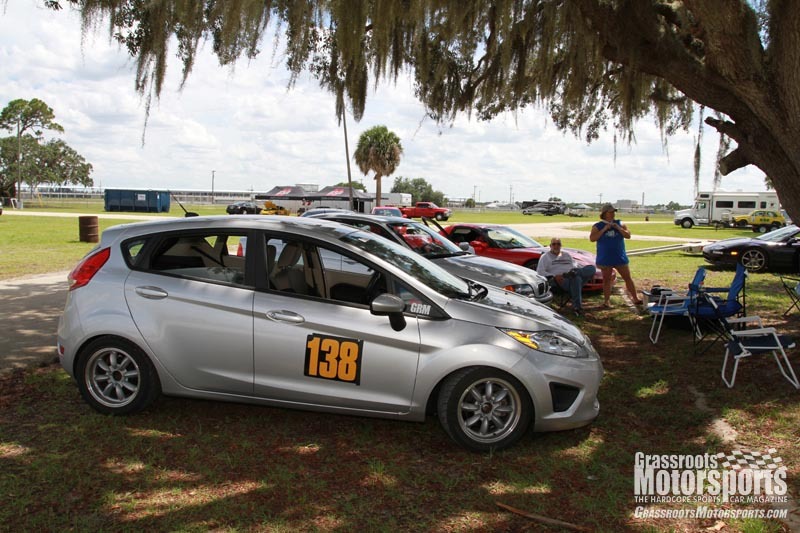 Now that our 2012 Ford Fiesta has a new suspension, it needed a bit of a real-world workout, so we made plans to attend an SCCA-sanctioned PDX track event at Sebring International Raceway’s club course. 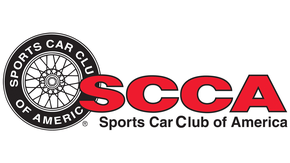 The Central Florida Region SCCA, our local group, added PDX track events to their schedule a little while back, and as a result, we have gotten to experience some world-class facilities for very fair prices. The Daytona and Sebring events have cost us just $90 per day. Pre-event prep was again minimal: pack up our stuff, check the oil, and drive down. Before leaving home, we installed some new lugs sourced from The Tire Rack since the stock ones didn’t seem to perfectly mesh with our Rota wheels. The new Ford Racing suspension is stiff on the road, though. We’d swear that we caught some air on I-4 through Orlando. On track, handling was transformed. 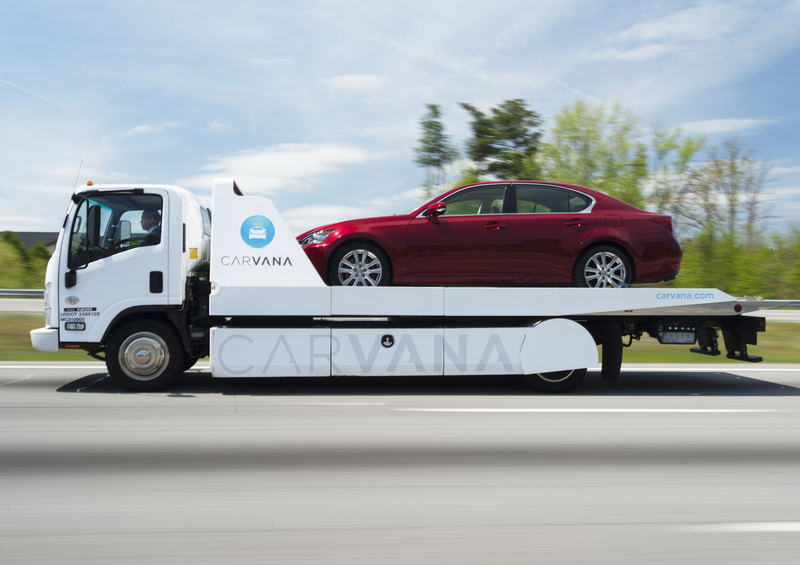 The car is brutally flat in the corners, and turn-in has gone from lazy to razor-sharp. Despite the car’s inherent top-heaviness, it can carve nicely through the turns. The Fiesta’s chassis inspired confidence through the Tower turn as well as the Safety Pin. The Toyo Proxes R1R tires handled the 15-minute sessions without a problem. Toward the end of a few sessions, however, our brake pedal got a little long. Performance pads and fluid are on the to-do list. Also, there is definitely a lack of poke under the hood. We could actually catch some Miatas in the turns, but once things straightened out, they could just motor away. Being out on track with a whole field of these B-spec cars, though, should be a blast.